In recent years, schools across the country have opted for concrete-built structures to improve energy efficiency and increase structural security. Many educational facilities in hurricane-prone Louisiana were early to this trend, including two in the Gulf of Mexico area. 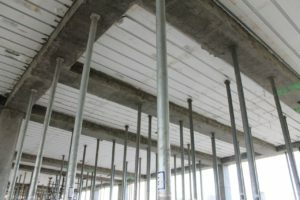 LiteForm, a leading manufacturer of insulated concrete forms (ICF), supplied materials for these schools, which are designed to provide protection against major storms such as those in Texas and the Caribbean this year. Phoenix High School in Phoenix, Louisiana and South Plaquemines Elementary School in Port Sulpher, Louisiana both used LiteDeck, a LiteForm product for flooring, decks and roofs that offers design flexibility and quick construction times. Using 86,000 square feet of the product for its second floor, Phoenix High School opened for the class of 2014. South Plaquemines Elementary School, which used 135,000 square feet of LiteDeck on its first and second floors, was completed in time for the class of 2015. These schools opted for LiteDeck flooring (as well as roofing for South Plaquemines) due to past weather-related issues in the area. During Hurricane Katrina, the levees in place to minimize flooding were breached, which destroyed or severely damaged the schools and other buildings in the affected communities. Today, the buildings are able to withstand hurricanes up to a Category 5 rating, and are elevated to a height that can withstand a storm surge in excess of 15 feet. While this means security for the schools’ students, the facilities are also built to function as evacuation shelters for future storms. Along with the elevated building strength, the schools are equipped with stand-alone generators, cold storage and other features that enable habitation without additional support for up to several weeks. 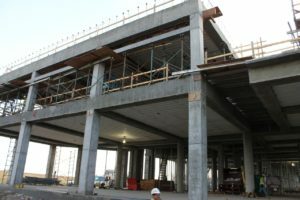 These Gulf Coast-area schools are among the increasing number of educational facilities across the country built with insulated concrete forms, including newer projects in Florida and Kentucky. With many areas looking to rebuild after storms, ICFs are an emerging product for those looking at long-term solutions. Learn more about ICF building and LiteForm products.